Have you wanted to cook lamb, but don’t really have a good lamb recipe? 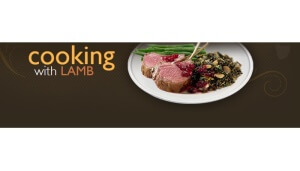 Australian Lamb is giving away a free lamb recipe book to those who are interested. This can also make a great gift to any of your friends who love to cook. This cookbook has recipes for Australian lamb kabobs, lamb shank, lamb burgers and more. Lamb burgers are one of my favorite burgers because they are lean and still loaded with juices and flavor. Find tons of great recipes and new ways to cook lamb with this book. Lamb will have never tasted better with this great cookbook.